Colleen M Griffith Productions and Happy Tail Dog Training are both owned and operated by Colleen Griffith, CNWI, CCBS, and Professional Photographer. She is based near Baltimore, MD. Please use the form below (scroll down) to schedule Colleen to video your K9NW or Scent-Sport trial or to request more information about her K9 Nose Work training services. Colleen is no longer taking new canine behavior modification clients. Click here for a list of recommended trainers & behaviorists who can help you with modifying your dog's unwanted behaviors. HAPPY TAIL DOG TRAINING & COLLEEN M GRIFFITH PRODUCTIONS are both owned and operated by Colleen Griffith, CNWI, CCBS, and Professional Photographer. She is based near Baltimore, Maryland. lColleen M Griffith Productions: Colleen is a full-service and versitile professional photographer providing video production and photography for individuals, events, organizations, and corporations across a wide variety of industries and including both personal and commercial markets. Colleen provides video production services in the areas of marketing and selling of business products and services, education, and filming canine sports. She films NW and other canine scent sport venues in the following states: CT, DE, MA, MD, NJ, OH, PA, RI, VA, and WV. To date she has filmed ~70 NW trials at all levels, including NACSW Nationals. She also provides photography services in the areas of corporate head shots, individual and family photo shoots, pets, culinary, fine art, real estate, photo restoration, and events. 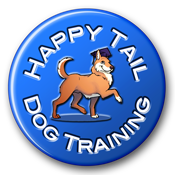 Happy Tail Dog Training: Colleen is also a Certified Nose Work Instructor and Certified Canine Behavior Specialist. She provides services ranging from training in K9 Nose Work™ and other scent sport venues, socializing puppies, teaching structured play as a reinforcer within a reward based training system, modifying unwanted behaviors in dogs of all ages and breeds, reducing stress during vet visits, helping shy and fearful dogs, and modifying aggressive behavior.